New Year, New Job, New Lifestyle 2018. 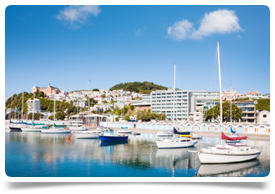 We are seeking two Child & Adolescent Psychiatrists (Inpatient) to be based in New Zealand’s capital city of Wellington. Utilising your specialist skills and experience, you will be working in one of two inpatient services, whilst enjoying the vibrant and cosmopolitan city life. One of the roles also involves Forensic Psychiatry, so an interest or experience in this field would be advantageous. Across the lower part of the North Island, three District Health Boards have come together to form one Mental Health, Addictions and Intellectual Disability (MHAID) Service. Together they deliver local, regional and national services from multiple sites across the 3 regions. Two of these key services are the Nga Taiohi National Secure Youth Forensic Inpatient Mental Health Service and The Regional Rangatahi Acute Inpatient Service. Each service is seeking a Child & Adolescent Psychiatrist to join them. Nga Taiohi National Secure Youth Forensic Inpatient Mental Health Service – is a new, purpose-built, specialist, 10-bed unit for the treatment of young people aged 13 to 17 who are severely affected by mental health (or mental health plus alcohol or other drug) issues, who have offended or are alleged to have offended, and who are involved in New Zealand’s youth justice system. The unit provides a secure facility with onsite 24 hour a day care from a multi-disciplinary team. *If you are interested in this position, but do not have formal training in Forensic Psychiatry, full training will be given on the job. They have an excellent team who will support you in this endeavour. The Regional Rangatahi Acute Inpatient Service (RRAIS) - is a 13-bedded mental health acute unit, that provides a service for adolescents aged between 12 to 17 years of age who have a serious mental health disorder. The young person will be requiring intensive treatment, investigation or observation (24 hours per day) that cannot safely or adequately be provided in a community setting. Wellington is the political and cultural centre of New Zealand, offering the luxury of living in a small city with big city advantages, with a magnificent harbour framed by hills. There’s a huge array of cultural events, galleries, cafes and restaurants. The international airport also makes connections to the other parts of the world and elsewhere within NZ very easy. Housing is affordable and of a high quality with a range of lifestyle options whether you want to live in a city apartment, beach house or country property and nearly every inhabitant lives within 3km of the coast. Beyond the city and its beautiful harbour you have a wild and rugged coastline, mountains, ski fields, wineries and historical towns all within easy reach making this a perfect lifestyle destination. Alternatively, if not NZ trained or based, you will hold equivalent specialist qualifications (e.g. MRCPsych and CCT in Child & Adolescent Psychiatry) that will enable Provisional Vocational (long term) registration or Locum Tenens (short term up to 12 months) registration. These are the specialist pathways for medical registration in NZ for Psychiatrists and we can assist with the registration and work visa applications, if you are successfully appointed.